SOLD! WOW! This one is sure to win your heart! Welcome Home to this charming beauty! This is one you will not want to miss. 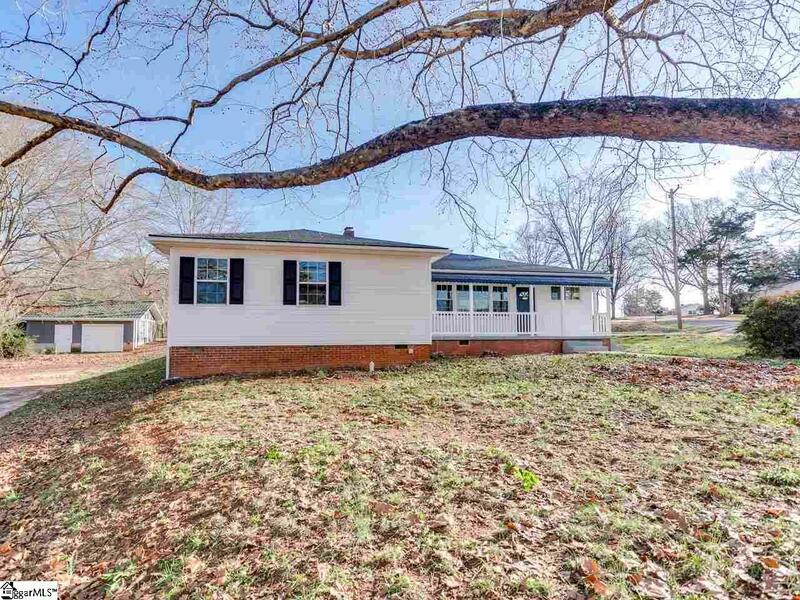 3 Bedroom, 2 full bath on 1.1 acres with so many updates! 2018: New Exterior Vinyl, New Windows, New Doors, New Plumbing Fixtures, New Lighting, New Architectural Roof, Hardwoods Refinished in Living Room and Bedrooms, New Floor Cover in Kitchen, Fresh Paint, New Countertops, New Kitchen Sink, Ceramic Tile Floor in Baths, and so much more including a New HVAC to be installed prior to closing. The Kitchen is the heart of the home. This spacious, warm, inviting kitchen offers plentiful cabinets and a conveniently located Dining Area. Screened Porch (27x10) is wonderful space for relaxing and entertaining. The attached carport would also make a wonderful patio off the screened porch. In addition, the property has a separate 2 car garage and separate area for storing lawn equipment. Located minutes from Interstate 85 and Interstate 26. Perfectly situated between Greenville, Greer and Spartanburg. Sought after District 5 schools. Schedule your showing today and see for yourself.